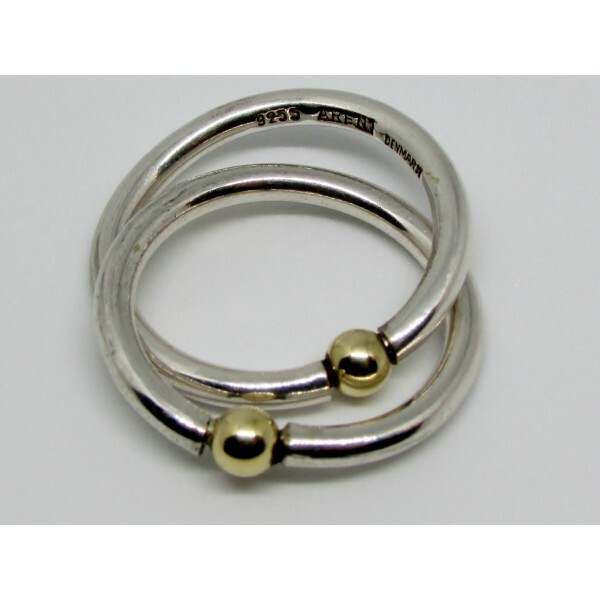 Regitze Overgaard, Copenhagen Elegant sterling silver double ring with gold spheres, rounded shank, solid silver. For details, please click MORE INFO above! Size: US 6 / EUR 52, diameter of ring shank appr. 2.2 mm. 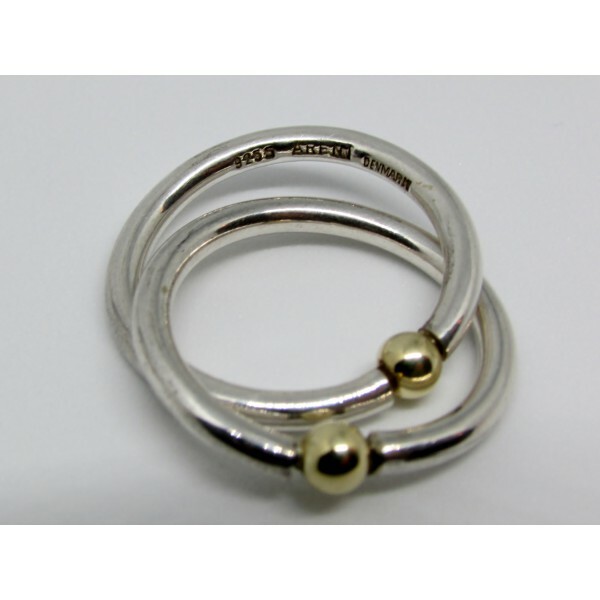 Two conjoined rings with gold pearl each. Regitze Overgaard is a renowned Danish designer, who also works for Georg Jensen. She has contributed designs also to Anton Mikkelsen workshop in the 1970s. Her works from the own workshop are signed ARENT or R in oval.